Human Hair Extensions are very versatile and can be used to transform dull lifeless hair. 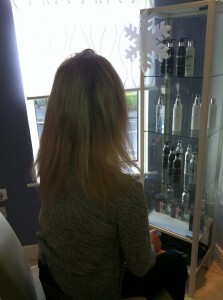 This client likes to change her hair colour, she came to us with very fine over processed hair. 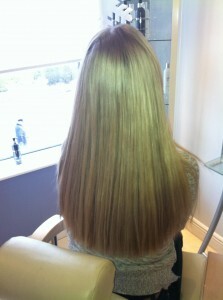 Micro Interweave human hair extensions were our choice to boost this ladies hair. Above is her before picture and below is her after pictures. You will see that there are two colour variations as one is a lowlighted version for the winter months and the other was a summery highlighted boost for the summer. Less then two hours to achieve this look.